Leo Varadkar said the government would ‘grasp the nettle’ and increase carbon tax. Today, it failed to deliver. Those were the words of Taoiseach Leo Varadkar when talking about the Budget back in August. The introduction of a carbon tax was well flagged by the Taoiseach to reporters during his summer roundtable press briefing. In fact, it was one of the measures he had the most detail on. We will of course need to talk to the main opposition party about that and agree it at government but we think that is necessary as part of our climate change obligations. So, where was it today? 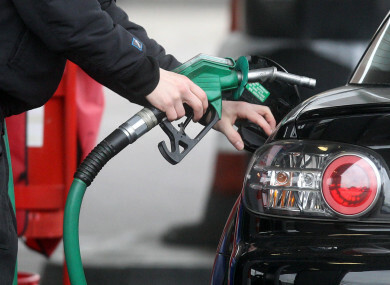 Was the notion of fuel increases a step too far? Was it a choice between VAT increases for the tourism sector or a carbon tax hike? Whatever the reason, it didn’t feature today. Finance Minister Paschal Donohoe did mention carbon tax, but only that he welcomed a recent ESRI report as a “first step in better understanding the environmental, social and economic impact of a carbon tax”. Quite the departure from the thought-out measures the Taoiseach was so eager to publicise during the summer. Speaking at a press conference this evening, Donohoe said he “reflected” on the issue of carbon tax greatly, particularly in September. Donohoe said he did a lot of work investigating the successful implementation of a carbon tax in other areas around the world. While he acknowledged such a tax would impact on diesel, it would also impact on hard fuels, petrol and many other things that “play a very large role in peoples’ living standards”. He said it is his intention to put in place a long-term trajectory for carbon tax increases out to 2030, adding that he is not being asked to increase it from €20-€30 per tonne, but from €20 – €100. Such an increase will have a “significant” impact on living standards, he added. For this reason, Donohoe said he decided not to address it in this year’s Budget. Brexit was cited as another reason, with the minister stating that measures introduced today could impact Ireland’s competitiveness come February or March next year. When asked whether this was a decision reached purely for political reasons, due to some backbenchers voicing their concerns about fuel increases, the minister admitted there were some TDs concerned about bringing in petrol and diesel hikes overnight. He added that he did not feel there was a consensus for such a tax in the Dáil at present, but added that he had similar concerns about the VAT hike. “I had to make a call on a measure I felt there would be more consensus on,” he said, adding that government has to make decisions “with a mind of what we will get implemented”. Two ministers told TheJournal.ie today that it came down to VAT and carbon tax – but the finance minister could not get both over the line. “We couldn’t increase someone’s pension and at the same time up the cost of fuel and effectively give with one hand only to take it away,” they added. Failure to move on the issue, resulted in Green Party leader Eamon Ryan shouting “shame on you Fine Gael” during Donohoe’s speech today. Carbon tax currently applies to carbon dioxide emissions from the burning of turf, coal and other fossil fuels. It is charged at €20 per tonne of CO2 and is applied at the point of sale. Back in August, Varadkar seemed to have a plan in the bag to offset the costs for the consumer, stating that the government would introduce compensation measures for some to offset the increase. He said the government is aware that some people “who are in poverty or who are the most vulnerable can be the worst affected by that so there will have to be compensatory measures”. Ireland is falling far short of achieving its 2020, 2030 and 2050 climate change targets. In a scathing annual report, recently published, the Climate Change Advisory Council said Ireland is in an “even worse position” compared to the previous year as greenhouse gas emissions increased again. The Citizens’ Assembly was told during its sessions on climate change that Ireland would need to introduce a carbon tax as high as €70 on coal, turf and other products to improve emissions targets. Email “Whatever happened to the carbon tax? It came down to a call between VAT and fuel hikes ”. Feedback on “Whatever happened to the carbon tax? It came down to a call between VAT and fuel hikes ”.